School districts across several states have expressed the need to develop, customize, administer and manage implementation of their own teacher and principal evaluation tools. 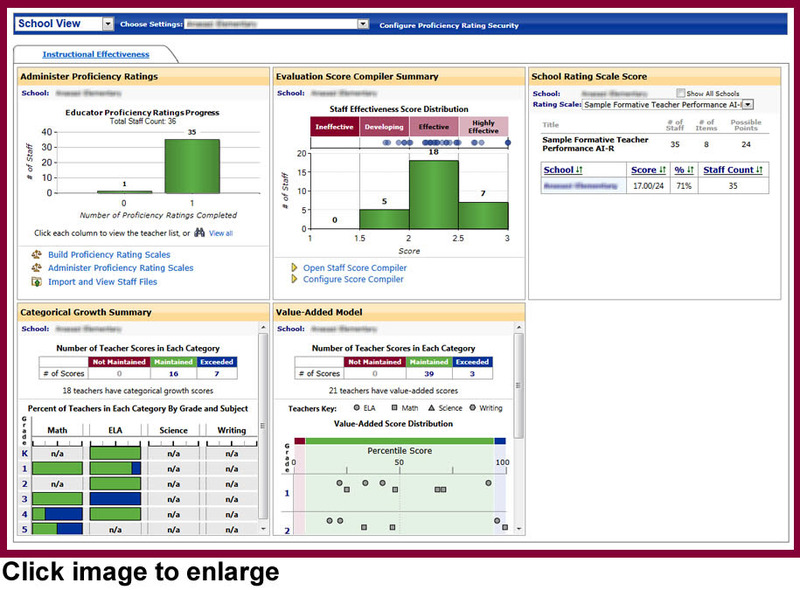 The Galileo Instructional Effectiveness Assessment System (IEAS) addresses this need by giving school districts online access to the Administrator Dashboard with instructional effectiveness widgets. Among other tools, the dashboard includes: 1) an Educator Proficiency Scale Builder; 2) Proficiency Rating Scale Administration tools; 3) an Educator Proficiency Ratings Progress Report; 4) a Proficiency Rating Results Report; and 5) Staff File Import and View functionality. These features make it possible for a district to take control over the development and use of teacher and principal performance rating scales aligned to the Interstate New Teachers Assessment and Support Consortium (INTASC) Professional Teaching Standards and the Professional Administrative Standards from the Interstate School Leaders Licensure Consortium (ISLLC). In addition, if the district already has a measure of teacher performance, they may upload data from this existing measure collected outside of Galileo or enter the existing measure (with appropriate copyright permissions if applicable) into Galileo for administration and data collection within the system. 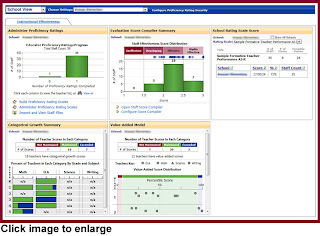 Galileo IEAS Dashboard Reports provide school districts with the capability to manage the implementation of rating scales and to gain rapid access to a continuous flow of actionable information not only to identify the proficiency levels of teachers and administrators at the end of the year, but also, to inform professional development decisions to enhance student learning throughout the year. For more information of the components of the Galileo IEAS, click here.